Visit Authorhouse to learn more about the book and read the free preview. Learn more today about the writing of the book. "Back pain strikes nearly 80 percent of all adults..."
Marc Sopher, M.D., a family physician, trained with Dr. John Sarno, author of The Mindbody Prescription and Healing Back Pain. Dr. Sopher diagnoses and treats patients using the theories and techniques of Dr. Sarno, a pioneer in the recognition and treatment of mindbody disorders. Dr. Sopher is available for consultations. "Emotionally induced pain disorders are epidemic in the United States and only a handful of physicians are aware of the nature of these disorders and are capable of diagnosing and treating them. Dr. Marc Sopher is one of those doctors. 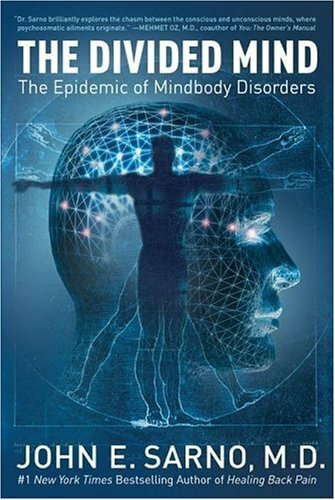 His book should be read by anyone suffering chronic pain of any kind or a variety of other common disorders..." John Sarno, M.D. Dr. Sopher is a contributing author to The Divided Mind, "the crowning achievement of Dr. John E. Sarno's long and successful career as a groundbreaking medical pioneer." "Dr. Sarno brilliantly explores the chasm between the conscious and unconscious minds where psychosomatic ailments originate." 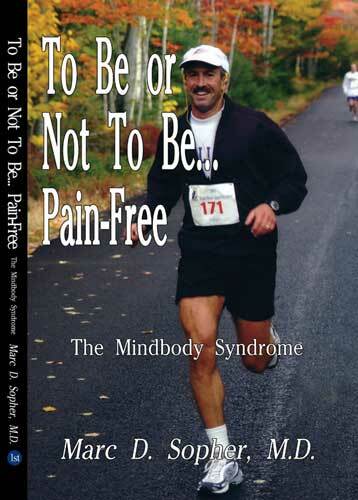 "I beg anyone seeking a solution to pain to study the amazing and revolutionary approach outlined here."